Stephen A Weaver, D.C., is a chiropractor located in Cincinnati, OH. Techniques: • Cox • Gonstead • Diversified Take the next step and contact Dr. Stephen A Weaver, D.C., for a consultation in Cincinnati, OH or to get more information. Kimberly A Rohloff, D.C., is a chiropractor located in Cincinnati, OH. Techniques: • Thompson • Activator Methods Take the next step and contact Dr. Kimberly A Rohloff, D.C., for a consultation in Cincinnati, OH or to get more information. Robert H Stenton, D.C., is a chiropractor located in Cincinnati, OH. Techniques: • Diversified • Cox Take the next step and contact Dr. Robert H Stenton, D.C., for a consultation in Cincinnati, OH or to get more information. Lawrence E Wells, D.C., is a chiropractor located in Cincinnati, OH. Techniques: • Activator Methods • Flexion-Distraction • CranioSacral Therapy • Gonstead • Diversified • Upper Cervical Take the next step and contact Dr. Lawrence E Wells, D.C., for a consultation in Cincinnati, OH or to get more information. Earl Wiley, D.C., is a chiropractor located in Cincinnati, OH. Take the next step and contact Dr. Earl Wiley, D.C., for a consultation in Cincinnati, OH or to get more information. Jay L Geiser, D.C., is a chiropractor located in Cincinnati, OH. Techniques: • Diversified Take the next step and contact Dr. Jay L Geiser, D.C., for a consultation in Cincinnati, OH or to get more information. David A Terry, D.C., is a chiropractor located in Cincinnati, OH. Take the next step and contact Dr. David A Terry, D.C., for a consultation in Cincinnati, OH or to get more information. Michael T Monahan, D.C., is a chiropractor located in Cincinnati, OH. Take the next step and contact Dr. Michael T Monahan, D.C., for a consultation in Cincinnati, OH or to get more information. Brian R Mouch, D.C., is a chiropractor located in Cincinnati, OH. Take the next step and contact Dr. Brian R Mouch, D.C., for a consultation in Cincinnati, OH or to get more information. Brad Holaday, D.C., is a chiropractor located in Cincinnati, OH. Take the next step and contact Dr. Brad Holaday, D.C., for a consultation in Cincinnati, OH or to get more information. Adam C Swolsky, D.C., is a chiropractor located in Cincinnati, OH. Take the next step and contact Dr. Adam C Swolsky, D.C., for a consultation in Cincinnati, OH or to get more information. Dr. Michael Nichols, D.C., is a chiropractor located in Cincinnati, OH. Techniques: • Network • Nutrition Take the next step and contact Dr. Dr. Michael Nichols, D.C., for a consultation in Cincinnati, OH or to get more information. David Dahlman, D.C., is a chiropractor located in Cincinnati, OH. Take the next step and contact Dr. David Dahlman, D.C., for a consultation in Cincinnati, OH or to get more information. Mark Allen King, D.C., is a chiropractor located in Cincinnati, OH. Take the next step and contact Dr. Mark Allen King, D.C., for a consultation in Cincinnati, OH or to get more information. 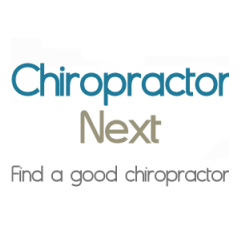 Kurt C Mechler, D.C., is a chiropractor located in Cincinnati, OH. Techniques: • Cox • Diversified • Applied Kinesiology • Bio-Energetic Synchronization Technique Take the next step and contact Dr. Kurt C Mechler, D.C., for a consultation in Cincinnati, OH or to get more information. Patrick Brunner, D.C., is a chiropractor located in Cincinnati, OH. Techniques: • Diversified Take the next step and contact Dr. Patrick Brunner, D.C., for a consultation in Cincinnati, OH or to get more information. Richard Cohen, D.C., is a chiropractor located in Cincinnati, OH. Techniques: • Pierce • pulstar force and recording Take the next step and contact Dr. Richard Cohen, D.C., for a consultation in Cincinnati, OH or to get more information. Richard M Sawicki, D.C., is a chiropractor located in Cincinnati, OH. Techniques: • Trigger Point Therapy • Sacro Occipital Technique • Diversified Take the next step and contact Dr. Richard M Sawicki, D.C., for a consultation in Cincinnati, OH or to get more information. Jeffrey Elwert, D.C., is a chiropractor located in Cincinnati, OH. Techniques: • Diversified • Cox Take the next step and contact Dr. Jeffrey Elwert, D.C., for a consultation in Cincinnati, OH or to get more information. Eric W Eiselt, D.C., is a chiropractor located in Cincinnati, OH. Techniques: • Gonstead • Flexion-Distraction Take the next step and contact Dr. Eric W Eiselt, D.C., for a consultation in Cincinnati, OH or to get more information. Joseph P Finucan, D.C., is a chiropractor located in Cincinnati, OH. Techniques: • Diversified • Cox Take the next step and contact Dr. Joseph P Finucan, D.C., for a consultation in Cincinnati, OH or to get more information. Donna Maloney, D.C., is a chiropractor located in Cincinnati, OH. Techniques: • Cox • Gonstead Take the next step and contact Dr. Donna Maloney, D.C., for a consultation in Cincinnati, OH or to get more information. Patti Hess, D.C., is a chiropractor located in Cincinnati, OH. Take the next step and contact Dr. Patti Hess, D.C., for a consultation in Cincinnati, OH or to get more information. Laurie Jahnke, D.C., is a chiropractor located in Cincinnati, OH. Techniques: • Activator Methods • Sensory Development • Blood Nutrition Analysis Take the next step and contact Dr. Laurie Jahnke, D.C., for a consultation in Cincinnati, OH or to get more information. Sophie Brodeur, D.C., is a chiropractor located in Cincinnati, OH. Techniques: • Gonstead • Diversified • Thompson • Active Release Technique Take the next step and contact Dr. Sophie Brodeur, D.C., for a consultation in Cincinnati, OH or to get more information. Sky Shelby, D.C., is a chiropractor located in Cincinnati, OH. Techniques: • Activator Methods • Diversified • Gonstead • Thompson Take the next step and contact Dr. Sky Shelby, D.C., for a consultation in Cincinnati, OH or to get more information. James S Howell, D.C., is a chiropractor located in Cincinnati, OH. Techniques: • Gonstead • Grostic Take the next step and contact Dr. James S Howell, D.C., for a consultation in Cincinnati, OH or to get more information. Jeffrey Haymes, D.C., is a chiropractor located in Cincinnati, OH. Take the next step and contact Dr. Jeffrey Haymes, D.C., for a consultation in Cincinnati, OH or to get more information. Christopher Brosnahan, D.C., is a chiropractor located in Cincinnati, OH. Take the next step and contact Dr. Christopher Brosnahan, D.C., for a consultation in Cincinnati, OH or to get more information. Sarah F Easley, D.C., is a chiropractor located in Cincinnati, OH. Techniques: • Diversified • Flexion-Distraction • Activator Methods • Cranial • contact Dr. Reflex Analysis • Pranic Healing Take the next step and contact Dr. Sarah F Easley, D.C., for a consultation in Cincinnati, OH or to get more information. Henry W Scheidt, D.C., is a chiropractor located in Cincinnati, OH. Techniques: • Gonstead • Grostic Take the next step and contact Dr. Henry W Scheidt, D.C., for a consultation in Cincinnati, OH or to get more information. Peter Fagerland, D.C., is a chiropractor located in Cincinnati, OH. Take the next step and contact Dr. Peter Fagerland, D.C., for a consultation in Cincinnati, OH or to get more information. T. J. Lonergan, D.C., is a chiropractor located in Cincinnati, OH. Take the next step and contact Dr. T. J. Lonergan, D.C., for a consultation in Cincinnati, OH or to get more information. Dean Rottinghaus, D.C., is a chiropractor located in Cincinnati, OH. Techniques: • Gonstead • Diversified • Flexion-Distraction Take the next step and contact Dr. Dean Rottinghaus, D.C., for a consultation in Cincinnati, OH or to get more information. Mark T Spears, D.C., is a chiropractor located in Cincinnati, OH. Take the next step and contact Dr. Mark T Spears, D.C., for a consultation in Cincinnati, OH or to get more information. John P Musser, D.C., is a chiropractor located in Cincinnati, OH. Techniques: • Diversified • Gonstead • Manual Adjusting • Activator Methods • Thompson Take the next step and contact Dr. John P Musser, D.C., for a consultation in Cincinnati, OH or to get more information. P Randall Doerger, D.C., is a chiropractor located in Cincinnati, OH. Techniques: • Diversified Take the next step and contact Dr. P Randall Doerger, D.C., for a consultation in Cincinnati, OH or to get more information. Gerald Homan, D.C., is a chiropractor located in Cincinnati, OH. Take the next step and contact Dr. Gerald Homan, D.C., for a consultation in Cincinnati, OH or to get more information. Joseph L Everhart, D.C., is a chiropractor located in Cincinnati, OH. Techniques: • Diversified • Gonstead • Thompson • Torque Release Technique Take the next step and contact Dr. Joseph L Everhart, D.C., for a consultation in Cincinnati, OH or to get more information. Andrew J Limle DC CCSP CSCS AGFI, D.C.
Andrew J Limle DC CCSP CSCS AGFI, D.C., is a chiropractor located in Cincinnati, OH. Techniques: • Diversified • Flexion-Distraction • Activator Methods • Traction • Trigger Point Therapy • Thompson • Certified Chiropractic Sports Physician • Cert. Strength • Conditioning Specialist Take the next step and contact Dr.
Steven M Bleser, D.C., is a chiropractor located in Cincinnati, OH. Techniques: • Diversified Take the next step and contact Dr. Steven M Bleser, D.C., for a consultation in Cincinnati, OH or to get more information. Robert Dhaliwal, D.C., is a chiropractor located in Cincinnati, OH. Techniques: • Gonstead • Thompson • Flexion-Distraction • Diversified Take the next step and contact Dr. Robert Dhaliwal, D.C., for a consultation in Cincinnati, OH or to get more information. P. Carl Rafey, D.C., is a chiropractor located in Cincinnati, OH. Techniques: • Diversified • Gonstead • Activator Methods • Soft Tissue Orthopedics Take the next step and contact Dr. P. Carl Rafey, D.C., for a consultation in Cincinnati, OH or to get more information. Stephanie Owens, D.C., is a chiropractor located in Cincinnati, OH. Techniques: • Activator Methods • Motion Analysis (Palpation) • Diversified • Thompson • Manual Adjusting • Trigger Point Therapy Take the next step and contact Dr. Stephanie Owens, D.C., for a consultation in Cincinnati, OH or to get more information. Stephen Uhl, D.C., is a chiropractor located in Cincinnati, OH. Take the next step and contact Dr. Stephen Uhl, D.C., for a consultation in Cincinnati, OH or to get more information. Jennifer Walker, D.C., is a chiropractor located in Cincinnati, OH. Take the next step and contact Dr. Jennifer Walker, D.C., for a consultation in Cincinnati, OH or to get more information.